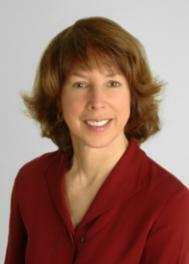 Ginny Lacey Gorman is your go to Warwick Rhode Island real estate agent for RI real estate and beyond. Email her at RiByTheBay@gmail.com or call her at 401-529-7849 today to make an appointment to discuss your real estate sales needs. Good moring, Ginny... imagine my surprise when I saw the price for this bungalow. I'm sure you'll be posting a pending sign very soon. Good morning Ginny. Congrats on your new listing. Many will hear the phrase "too late"! Enjoy your day! Good morning Ginny. I generally don't read about listings but you got me with "bungalow." Hi Ginny Gorman - Congratulations! I am not familiar with your neck of the woods but based on others comments, I am sure you will have a quick sale soon. I do like the term bungalow! Best wishes for a successful transaction and a very productive spring. Hello Ginny, looks like a close location and close to the water. Hope you have a fast sale. I love homes like the one pictured. It looks homey and screams, Americana. I could live there. . .No problem. Best of luck in getting it sold! Ginny congratulations on your new listing. Your phone should be ringing on this one. Bet there is some "old world charming" in this house someone will love ! Thanks all we now have an accepted offer on this home!! Somehow I knew this one would be gone FAST, Ginny! What an adorable bungalow - I'm sure you have one, giddy buyer on your hands! Savvy sellers to hire you to sell their home, Ginny. May you have smooth sailing to Closing.